Enjoy an amazing cup of coffee or tea with your favorite crime detective, with this unique 2D ceramic mug. The letters "SHER" are exposed when the cup is filled with a hot beverage. Sherlock's unique living room wallpaper design is also displayed when heated. 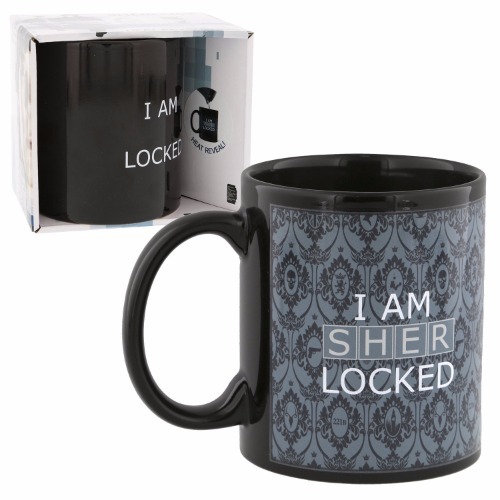 Makes a great gift for any Sherlock Holmes fan! Holds 10 oz and measures 4" tall and 3.5" in diameter. Officially licensed Sherlock Holmes collectible.